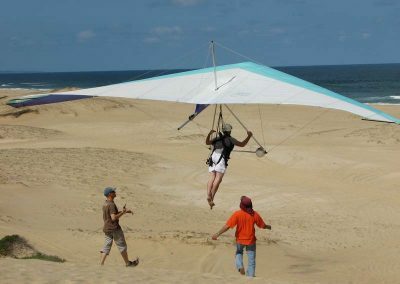 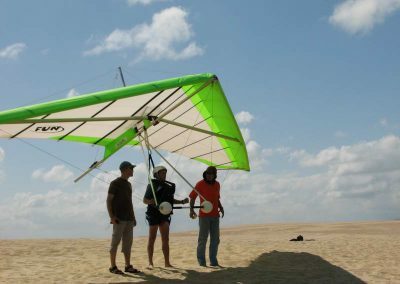 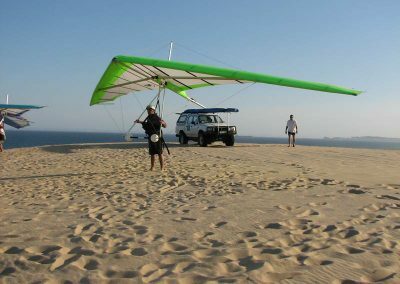 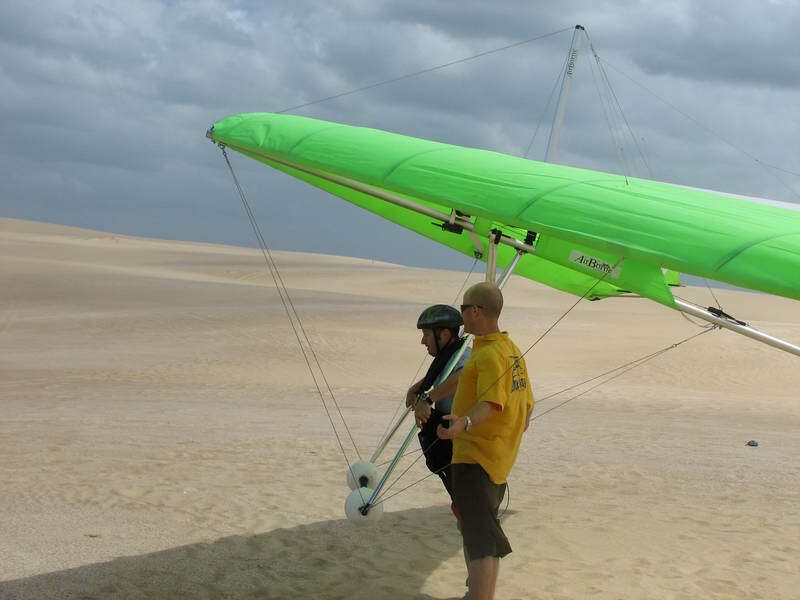 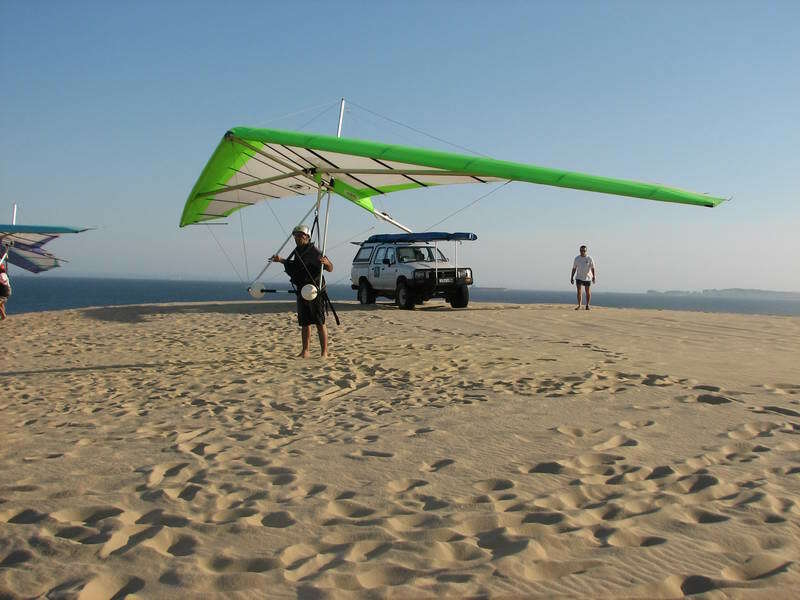 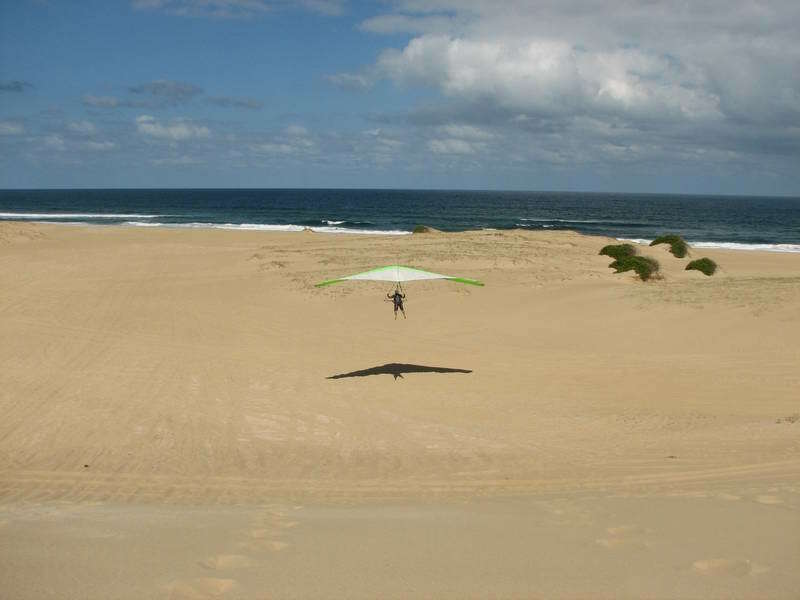 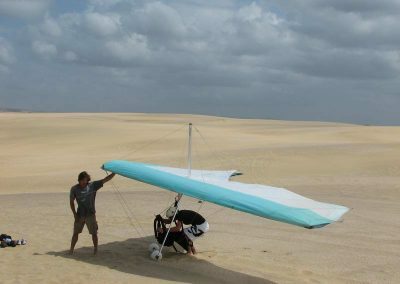 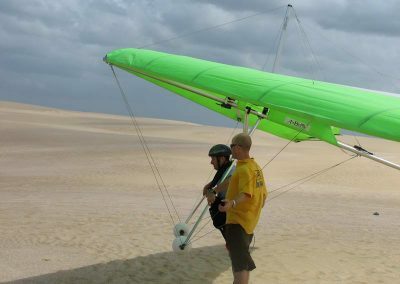 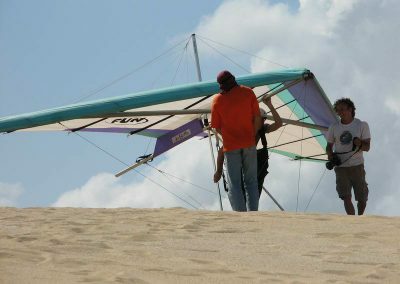 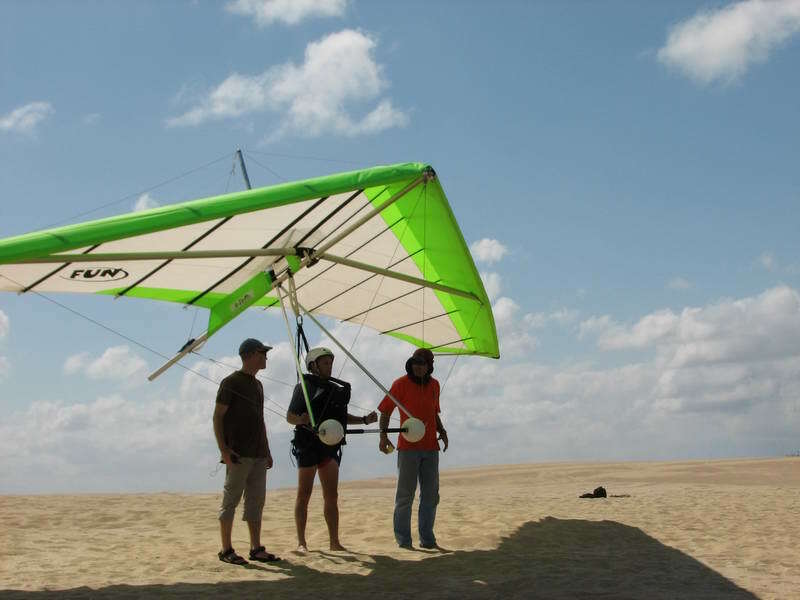 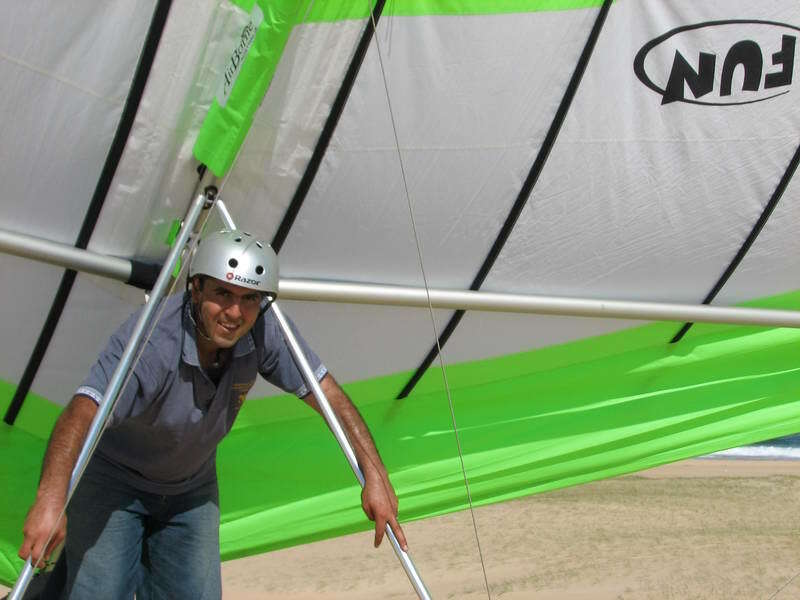 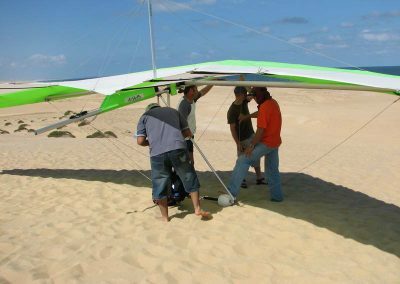 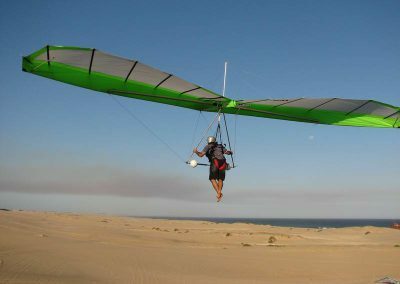 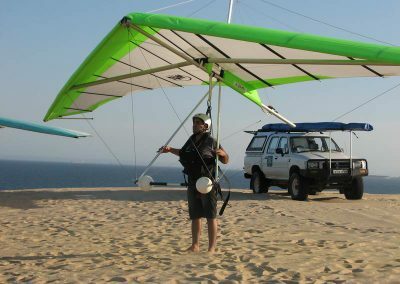 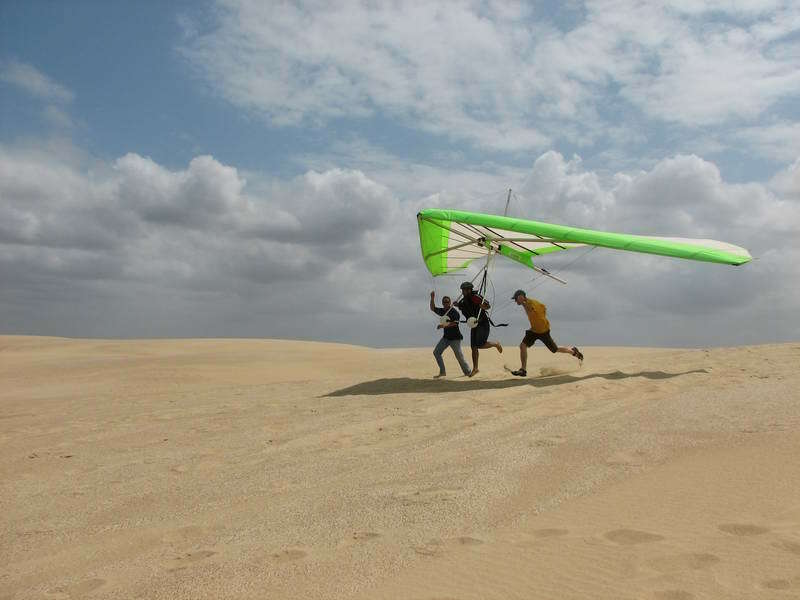 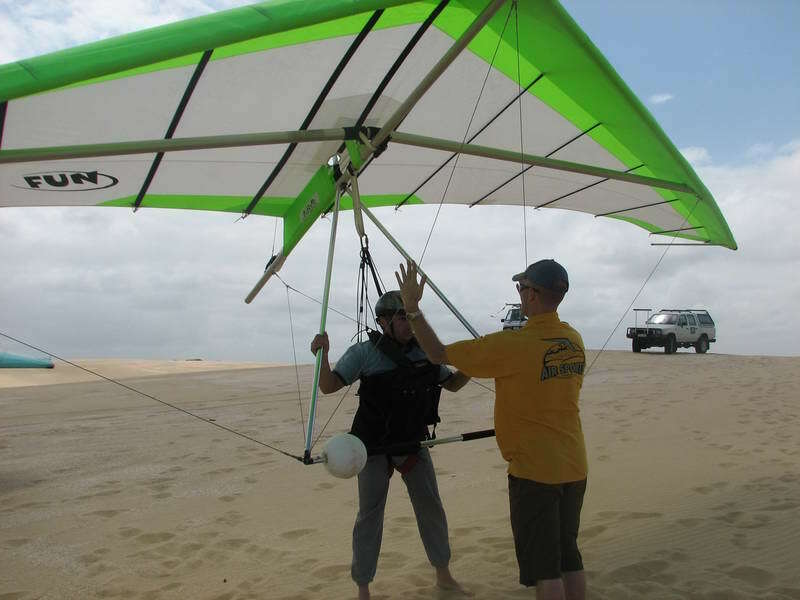 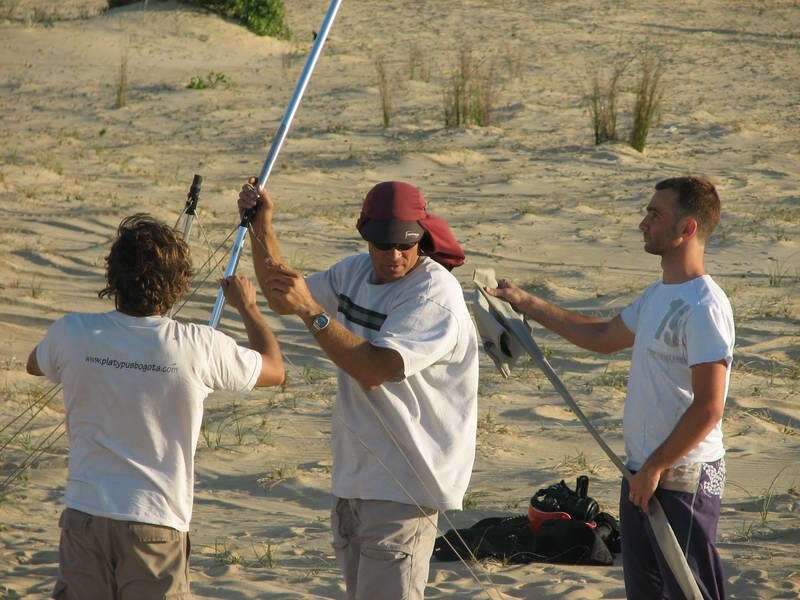 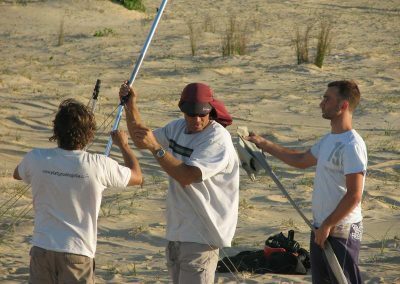 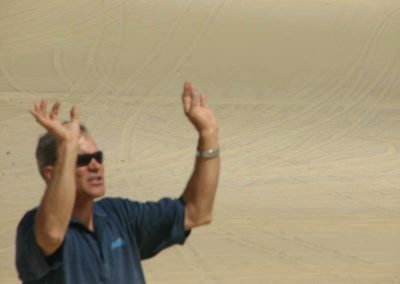 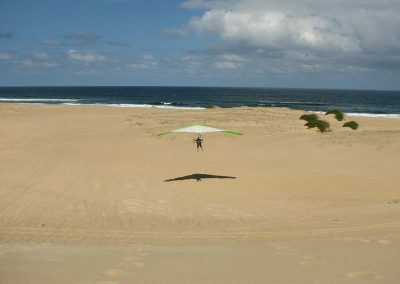 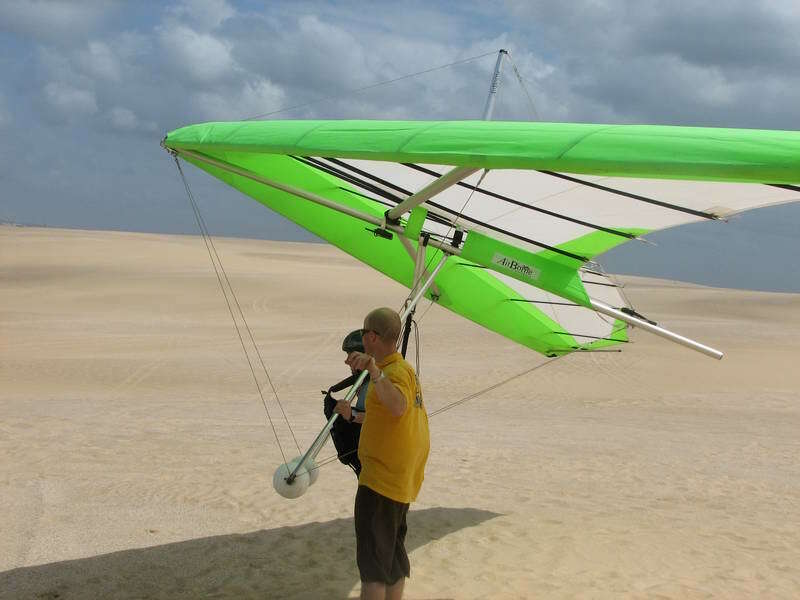 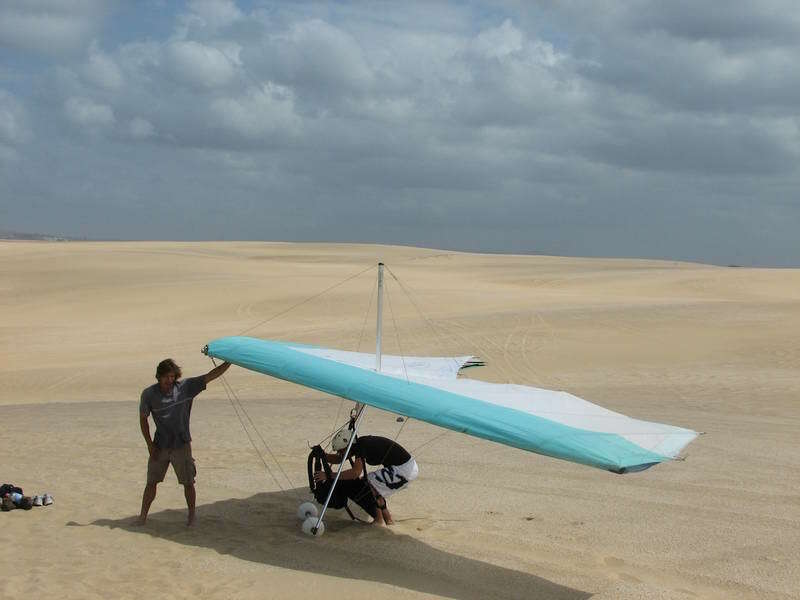 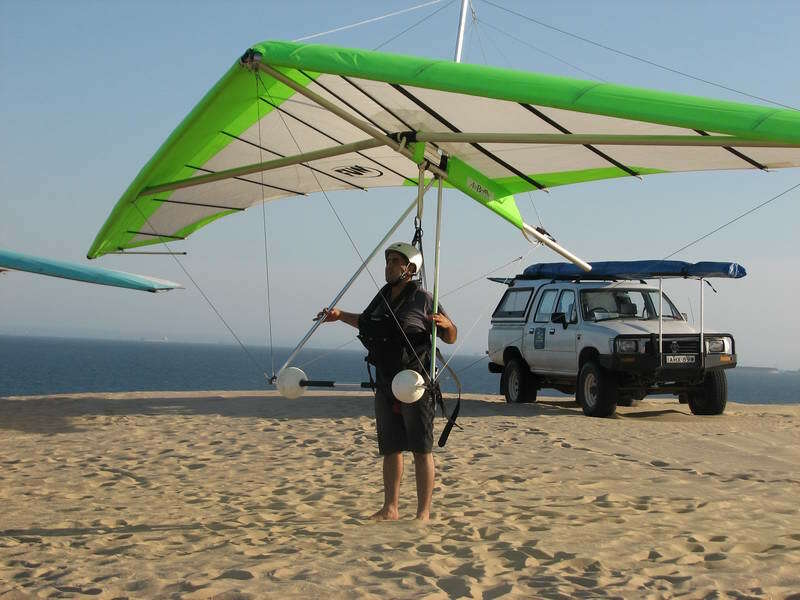 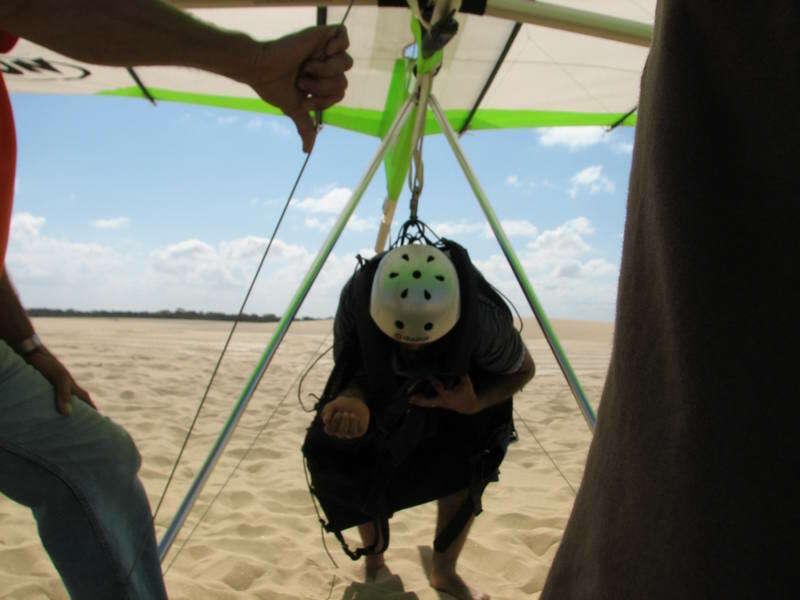 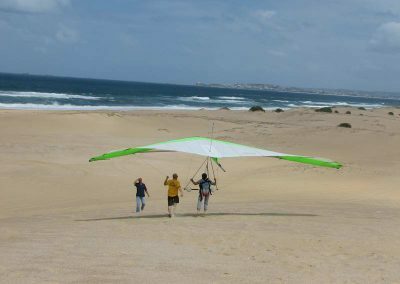 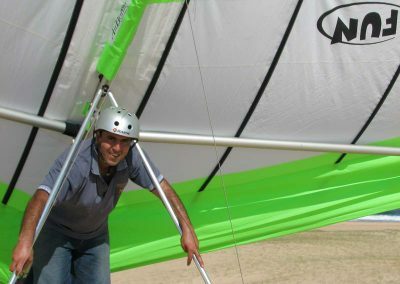 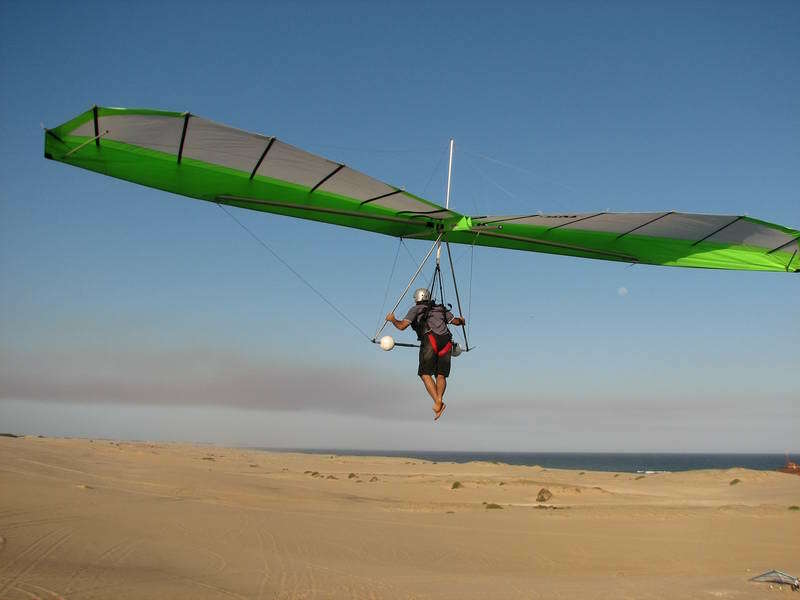 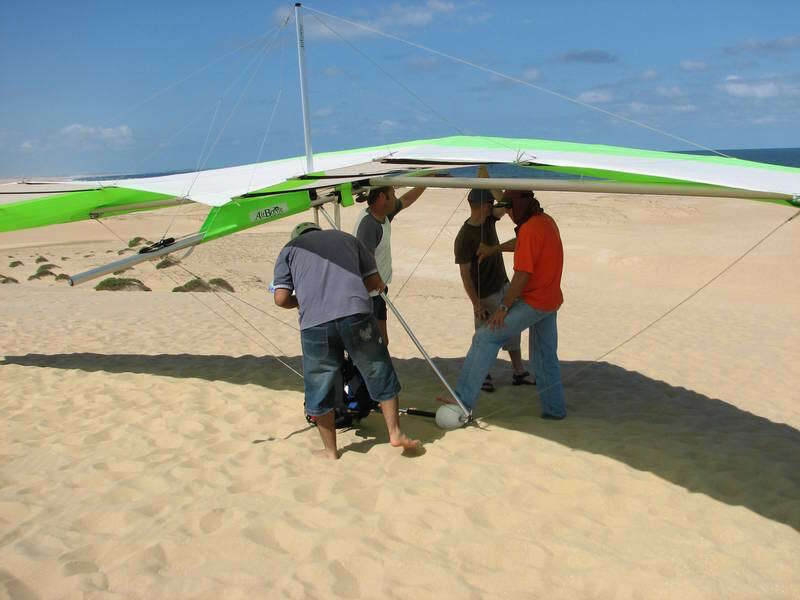 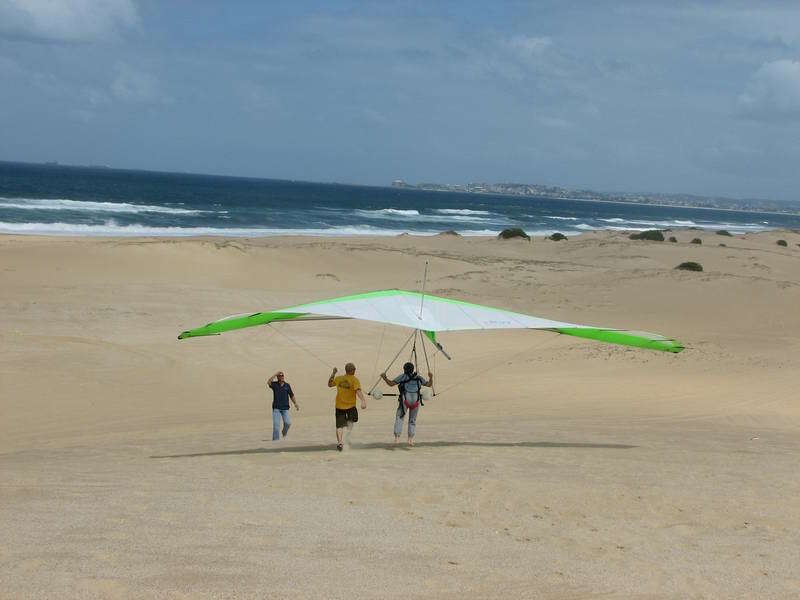 Our complete HGFA approved novice hang gliding and paragliding courses are designed to get you flying solo as safely and efficiently as possible. 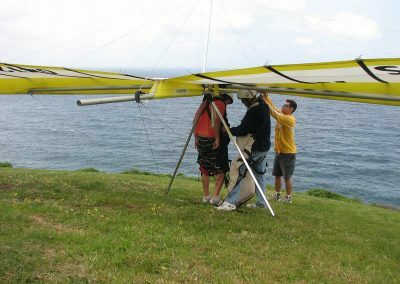 Our expert instructors will progress you through this complete course in approximately 7-10 days using the schools equipment. 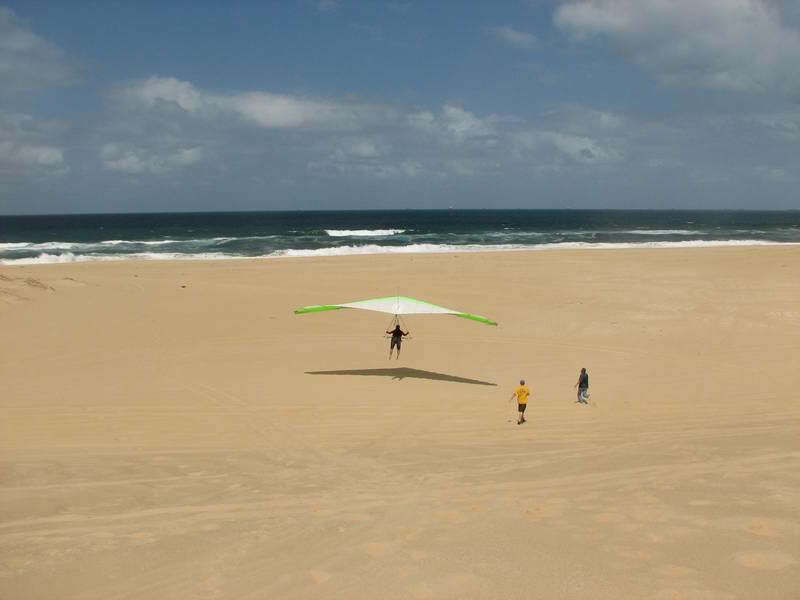 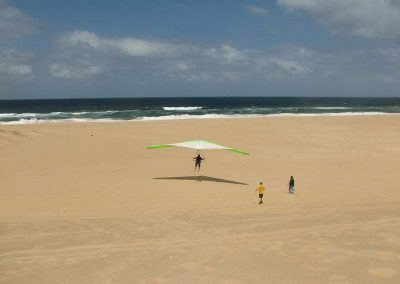 Solo training takes place on the gentle sloped sand dunes of Newcastle Beaches, then up to the higher hills surrounding the scenic Hunter Valley. 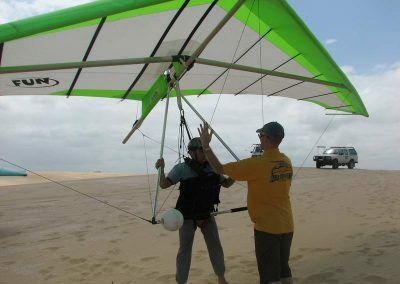 Upon completion of the course you will have your Restricted Pilots Rating and be confidently soaring solo up with the eagles. 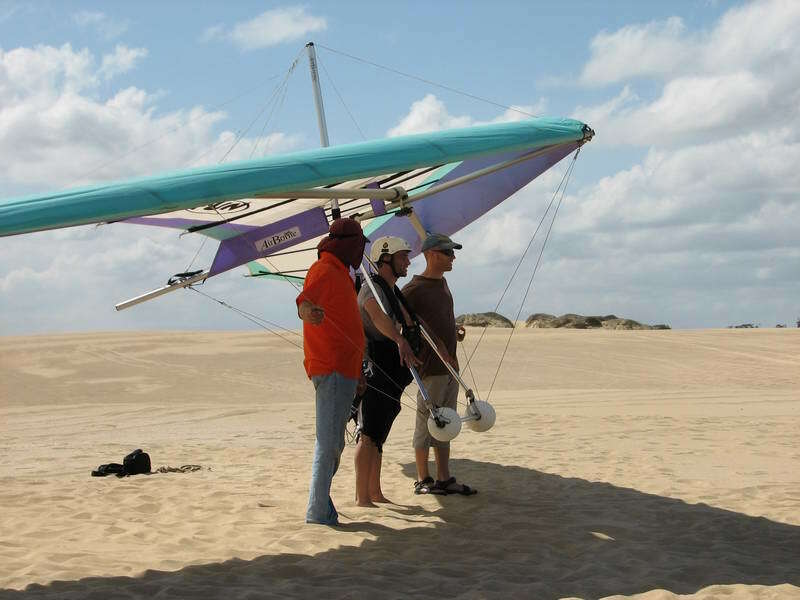 If you’re thinking about doing your Restricted Pilot’s Rating course, we recommend doing the tandem flight first. 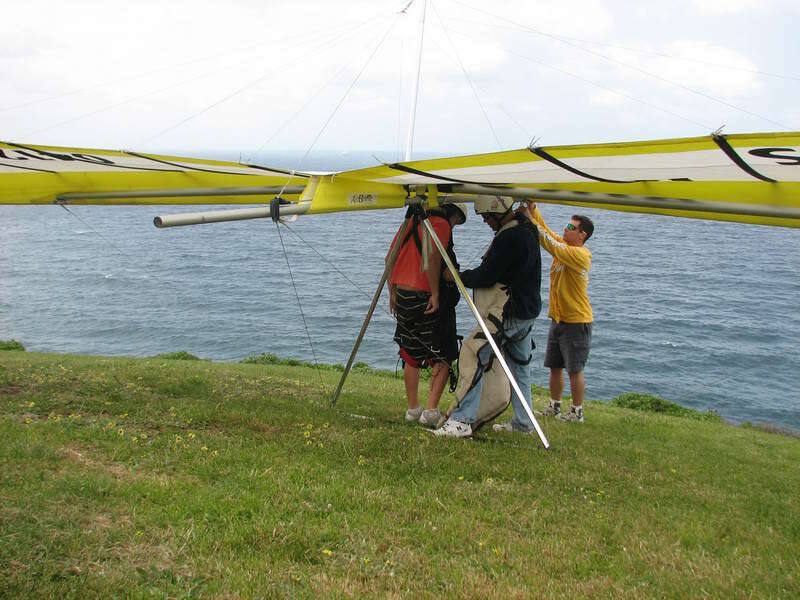 You will get a great feel for flying and just how safe and easy it is. 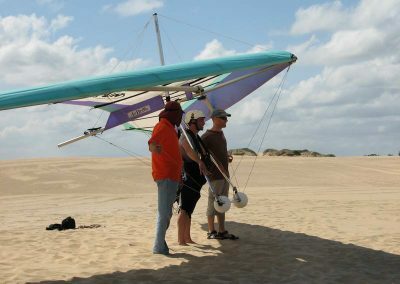 On tandem flights, the passender is often given the opportunity to take control of the aircraft while an experienced pilot is right by your side. Check out the course photos below.